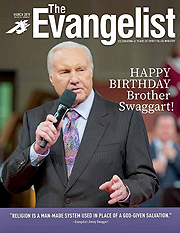 The Evangelist Magazine is the official monthly magazine of Jimmy Swaggart Ministries! 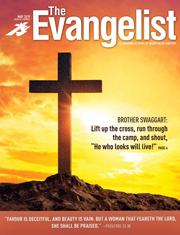 Each issue is packed with insightful and anointed articles by Reverend Jimmy Swaggart, Frances Swaggart, Evangelist Donnie Swaggart, Pastor Gabriel Swaggart and others! You will not want to miss the special product offers, and Reverend Jimmy Swaggart's personal comments. 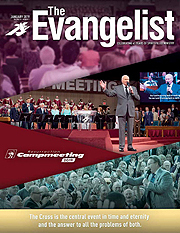 Click here for a Free Trial and get this 52 page full color magazine rushed to your home or office today! 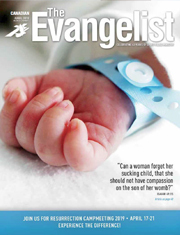 Don't miss a single issue of the Evangelist! 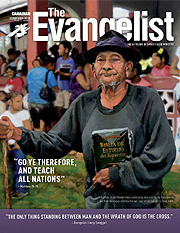 Past years Evangelist copies are also available online for your viewing pleasure. You will need Adobe Acrobat Reader to view the files however, if you do not currently have the Acrobat reader required to open these files, you may download it free HERE. Enjoy!